Ironically, the bid to secure Madame Élisabeth's beatification has cut across the efforts of historians in recent years to create a more three-dimensional and human view of the princess. In 2013 restoration work was finally completed on Madame Élisabeth's former residence at Montreuil, acquired by Conseil Général of the Department of Yvelines in 1984. The occasion was marked by a major exhibition curated by Juliette Trey, which brought together portraits and personal artefacts relating to life at Montreuil in the pre-Revolutionary years; the accompanying catalogue offered a series of themed reappraisals by leading historians. 2010 and 2013 saw two major new biographies, by Jean Viguerie and Anne Bernet, both of which offered new insights based largely on Élisabeth's own voice in her letters. Anne Bernet is a Catholic writer, close to legitimist circles, but she sought explicitly to rescue Madame Élisabeth from her colourless, pious image. In 2014 she popularised her findings on Franck Ferrand's, Au cœur de l’histoire ; Élisabeth was, she says, "a young woman who was decisive and intelligent, with a strong character, clear thinking with a sure political sense". Elisabeth was intelligent and well-educated. Madame de Marsan, who was charge of the education of the two princesses Madame Clothilde and Madame Élisabeth, to the age of fourteen, did not subscribe to the fashionable view that girls should not be taught "serious" subjects; rather she harped back to the more austere tradition of the Dames de Saint-Cyr who sought to form good Christians who were also cultivated women. She engaged the services as sous-governantes, of Mlle d'Aumale and Mme de Mackau, both former pupils of the convent. The princesses learned maths, science, history and languages. Their reading included not only Montaigne, Descartes and Corneille, but also English writers such as Bacon, Pope and John Locke. The marquise de La Ferté-Imbault, daughter of madame Geoffrin, supplied a basic grounding in philosophy, mainly Plutarch, Seneca and Cicero, who were looked upon as moral exemplars. The new appraisals do not contradict the view of Madame Élisabeth as deeply religious, but they see her beliefs as compatible with scientific interests and a life in the world. (Even Jean de Viguerie, who emphasises Elisabeth's piety, admits that she was no ascetic - as she admitted she "liked to eat"; however, he emphasises that she exercised self-restraint, and would criticise herself for being "too distracted".) Her religious views were profoundly conservative. From an early age she absorbed the conventional piety of the Court and, with it, a deep sense of the religious duty of the Crown. Her confessor until March 1791 was the former Jesuit the abbé Madier. Elisabeth was deeply attached to the Jesuit-sponsored devotion to the Sacred Heart, which had found favour with Marie Lszcsynska, and later became so heavily identified with the Counter-Revolution. 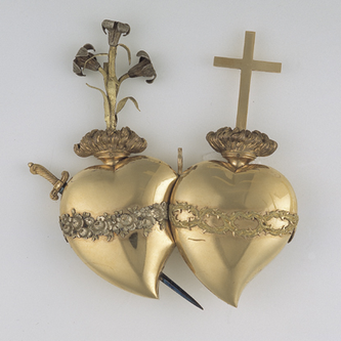 Ex-voto sent to to Chartres Cathedral by Elisabeth in 1790, consisting of two hearts cast as one. "The King and the Royal Family" and "The Church of France"
Despite its informality, Montreuil evidently did not replicate the risqué atmosphere of the Petit Trianon. Élisabeth might not have had the inclination, but nor did she have the freedom. As a royal princess and a minor, she led a tightly regulated existence. Louis XVI stipulated that she was not to spend the night at Montreuil or to allow a man in her entourage until she reached twenty-five. Although she had her own household, she was not allowed free rein over its composition. In 1789 there were sixteen ladies-in-waiting, presided over by Diane de Polignac. 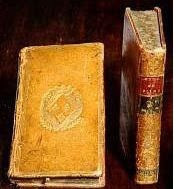 Certain of them, the marquise de Lastic and the marquise de Bombelles, were close companions, but Elisabeth often relied on her correspondance to keep in touch with her female friends, particularly after their marriages. The 2013 exhibition at Montreuil gave a good sense of this gilded but constrained world. Much of Élisabeth's time was necessarily taken up with innocent entertainments - hunting, botanising, trips to Fontainbleau and Compiègne, balls, theatre, reading and writing in the quiet of Montreuil. Stylistically, on the other hand, Élisabeth was very much under the shadow of Marie-Antoinette. The surviving furnishings reflect little of her personality beyond her desire for suitable royal trappings. In time this might have changed. In a PhD thesis, which is available online, Maria Spencer Wendeln discusses the public portraits of Madame Élisabeth. 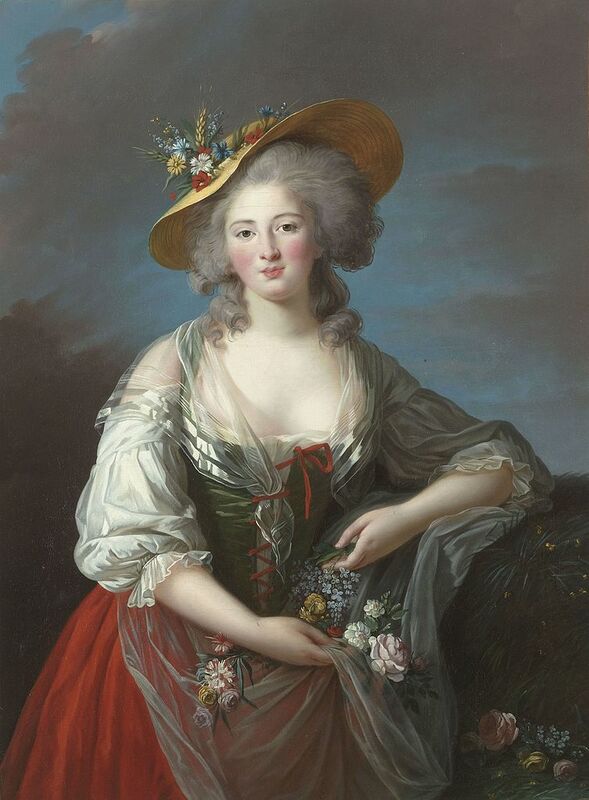 In the 1783 salon Élisabeth Vigée-Le Brun exhibited her portrait of the princess in straw hat with her arms full of flowers, a companion piece to the notorious Marie-Antoinette en gaulle. The highly coloured canvas and informal pose suggested a slightly blousey shepherdess, bordering on the coquettish. 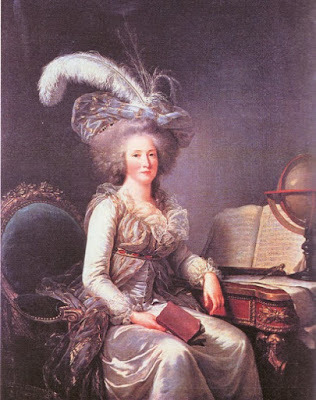 However, the portrait which appeared in the 1787 salon, this time by Adélaïde Labille-Guiard, shows Élisabeth moving towards an independent image, having herself depicted as a femme savante, with the "attributes of the sciences". Portrait by Adélaïde Labille-Guiard exhibited in the Salon of 1787. 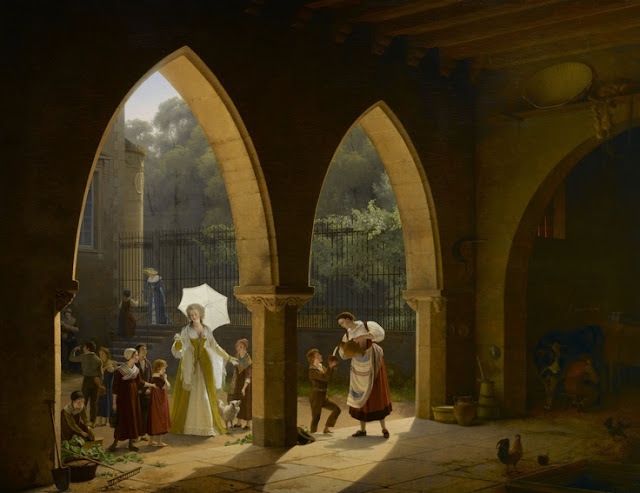 Madame Élisabeth's charitable activities at Montreuil were made much of during the Restoration - for instance, Fleury Richard's striking painting of her distributing milk was commissioned by the comte d'Artois from the artist and exhibited in the salon of 1817. Élisabeth's attitude towards religious vocations is illuminated by her correspondance with Louise and Marie de Causans, the daughters of her lady-in-waiting, who were encouraged by their mother to enter the Congregation of the Chanoinesses de Saint-Louis at Metz in order to avoid the expense of marriage. Writing to Marie de Causans, on 1st March 1786, she counsels against becoming a nun merely through indifference to secular society ("Religious life repels me, but the world occupies me too little"). 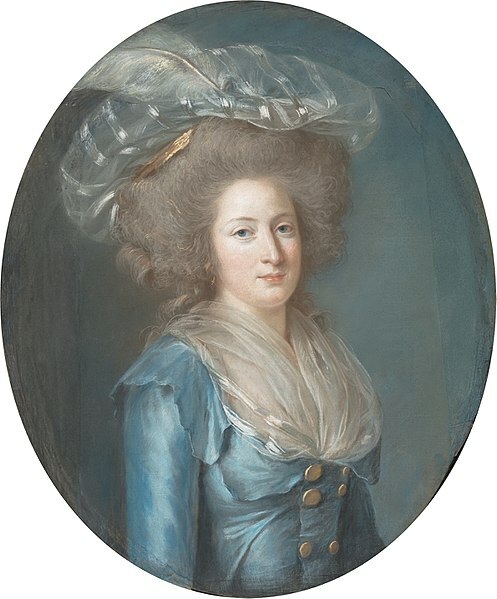 Élisabeth subsequently provided a dowry for Louise de Causans, later the marquise de Raigecourt, going so far as to ask Louis XVI an advance on her allowance to cover the 200,000 livres required. During late 1789 and through most of 1790 Dassy acted as a go-between, carrying Elisabeth's encrypted messages from the Tuileries. We learn that he urged her to follow the example of her aunts and flee abroad. On 24 October 1790 she reported to Louise de Raigecourt that he was ill, afflicted with numbness in his legs, and in December she secured him a position in the household of the comte de Provence; she reassured Louise that she was well, even though "cet homme qui est si beau" was no longer there to tend her. (letters dated 1st and 16th December 1790). It is not recorded what became of Dassy during the Terror;at the time of his death he was styled "doctor to the Court and to the civil and military hospitals of Fontainebleau". 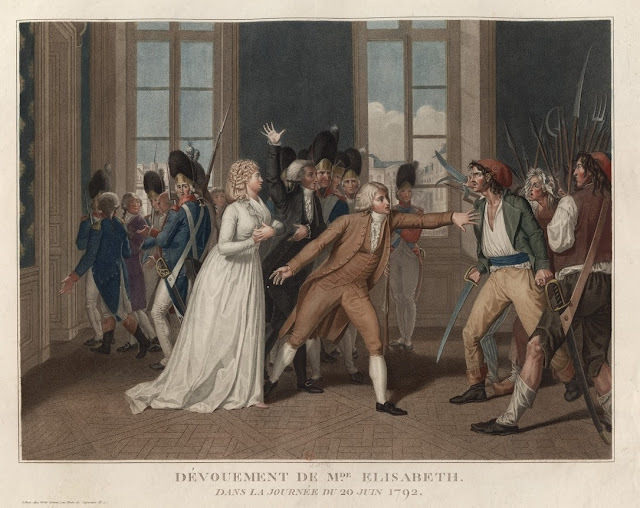 He was reported to have witnessed Madame Élisabeth on her way to execution; according to his wife he was so distressed that he took to his bed and died shortly afterwards. Dassy's date of death is given as 3rd March 1795; he was "buried in the park of his hôtel [in Fontainebleau], exhumed in 1814 and reinterred in the town cemetery". The love affair, fact or fiction, makes for a good story and in May 2017 les éditions Albin Michel published a novel based on it, La soeur du roi by the screenwriter and novelist, Alexandra de Broca. RESUMÉ: She is a princess of the blood. Withdrawn from the Court of Versailles, she has vowed to remain single and devote herself to charitable works. He is a commoner. A brilliant botanist in the royal gardens jardin, he is an adherent of the Enlightenment. Everything is against Madame Élisabeth, the young sister of Louis XVI, and François Dassy. However, when they meet by chance in the forest of Fontainebleau, they are drawn to each other by an irresistable attraction. But the storm of Revolution is gathering and threatens this clandestine love affair...Will Élisabeth follow the new ideas that are overturning France? And put royalty in danger? Is Dassy he an honest man or an imposter? It is an attractive and thought-provoking plot for a romance, but it does seem that the boundaries between imagination and reality have become blurred. The book met with a frosty reception from Anne Bernet, who felt the author misunderstood Élisabeth's Christian self-sacrifice. 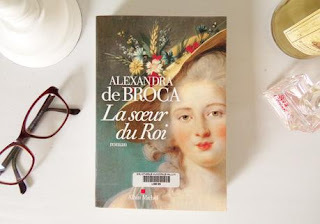 However, Franck Ferrand, in a second broadcast, which was even more adulatory than the first, preferred to invite Alexandra de Broca as his guest. The final aspect of Anne Bernet's revisionist view can be gathered from the subtitle of her book, the sister "who ought to have been king". Élisabeth, says Anne Bernet, was "decisive, intelligent, with a strong character, lucidity, a political sense superior to that of her brother and sister-in-law"; she was certain from the start of the Revolution that Louis XVI "did not take the necessary measures".This assessment, of course, depends on your political bias. Marie-Antoinette et le comte de Fersen: La correspondance secrète, ed. Evelyn Farr, 2016. As the Revolution progressed, Élisabeth turned increasingly to religion as the only hope of succour. In July 1789 she created an association dedicated to the two hearts of Mary and Jesus. The members devoted themselves to acts of charity and despite distance – many emigrated – remained a community in prayer. One year later, at the time of the Civil Constitution of the Clergy, she made a solemn vow “to the immaculate heart of Mary to obtain the conservation of the Church in France”; the ex voto preserved in Chartres Cathedral dates from this time. By the beginning of 1791 she seems to have lost hope for the recovery of royal authority short of divine intercession, writing to Mme de Raigecourt in Luxembourg,"You are right to put all your confidence in God, who alone can save us". After June 1792 her influence reinforced Louis's view that he no longer had credible political options and confirmed his preoccupation with spiritual matters. 28.08.2017 With Alexandra de Broca and Clémentine Portier-Kaltenbach.